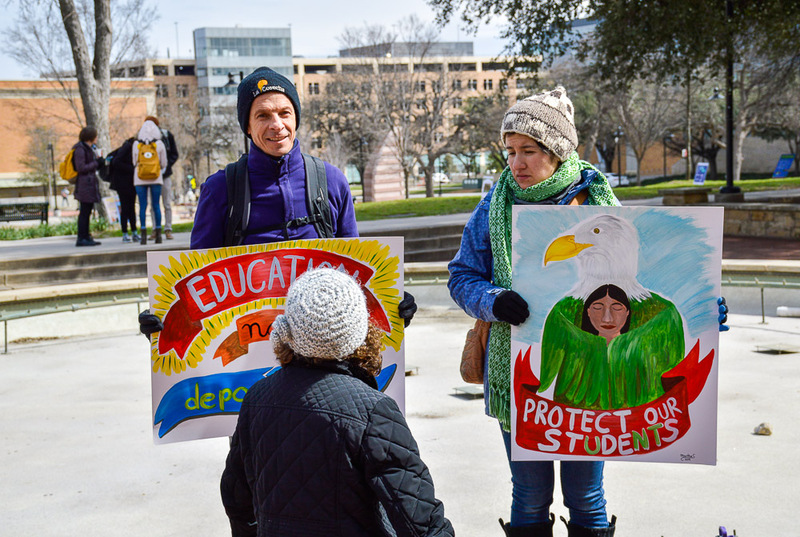 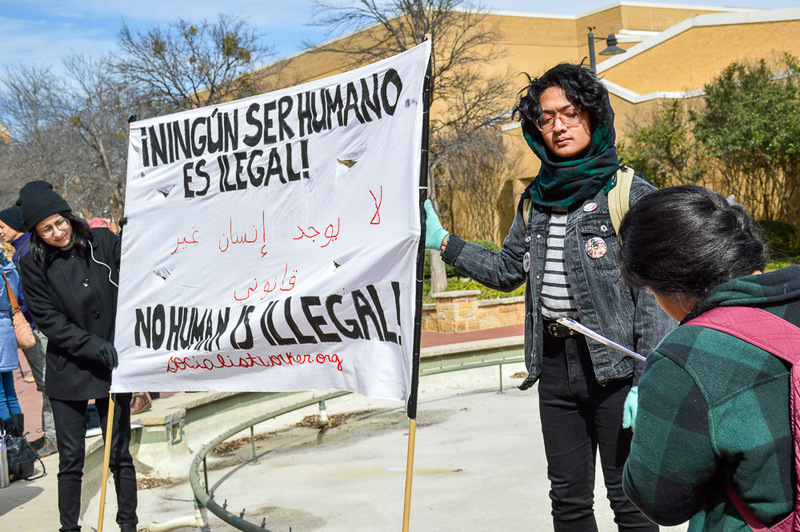 In counter protest to UNT’s Criminal Justice Fair where the university invited U.S. Customs and Border Patrol and U.S. Immigration and Customs Enforcement, a “Justice Fair” was held on Monday to provide resources and information about immigration. 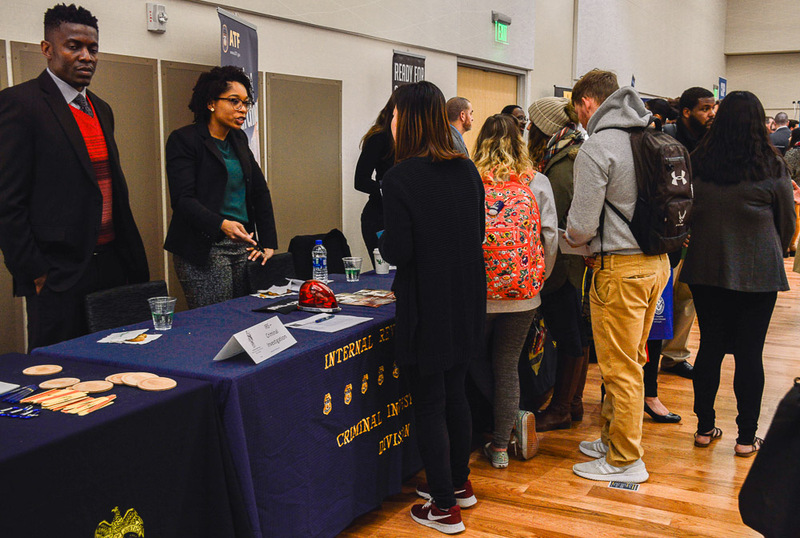 According to an article in the DRC, CBP was the only organization of the two that was present at the criminal justice fair. 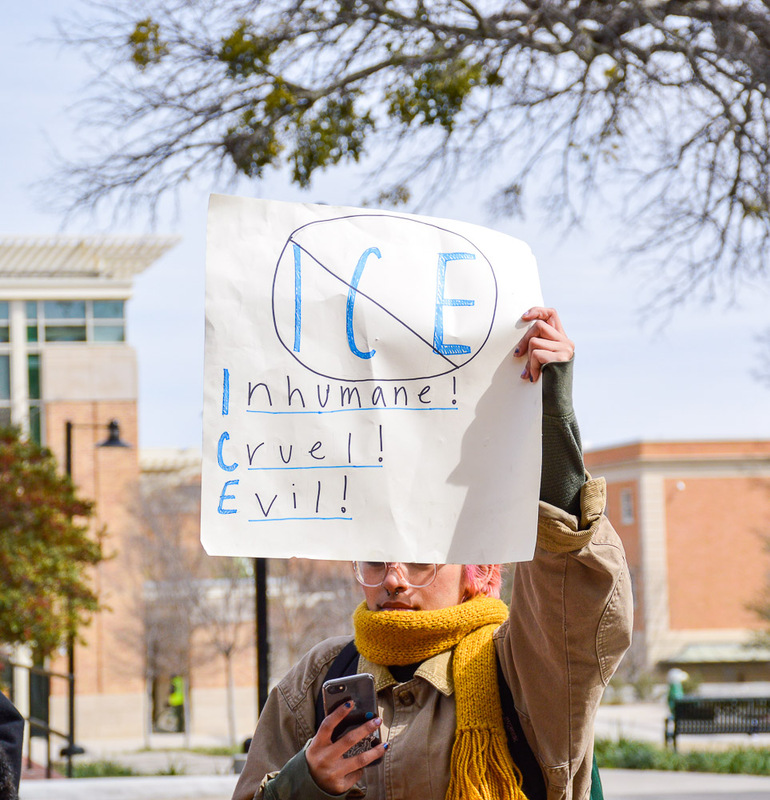 The Justice Fair was hosted by the ICE-Out Coalition, a group consisted of several organizations and community members who do work surrounding this topic. 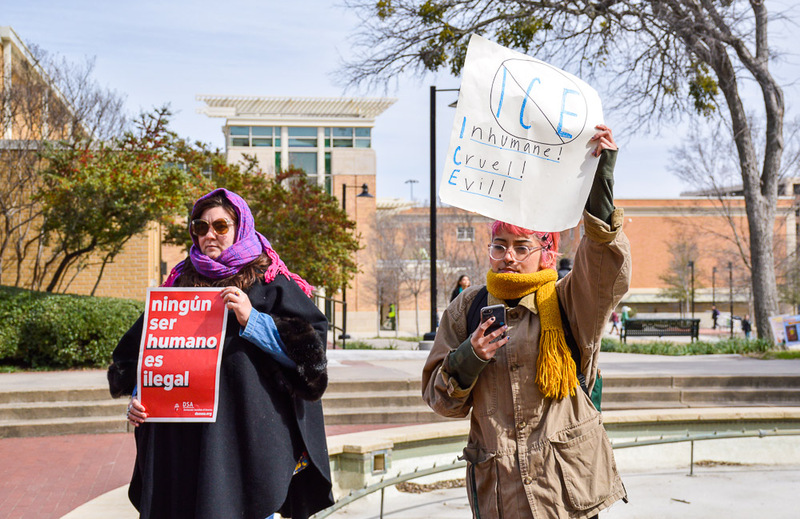 To the people who think the presence of CBP and ICE on UNT campus is simply a way to provide jobs to students, Mari Nuñez-Janes, a member of ICE-Out said the presence of these organization is not harmless. 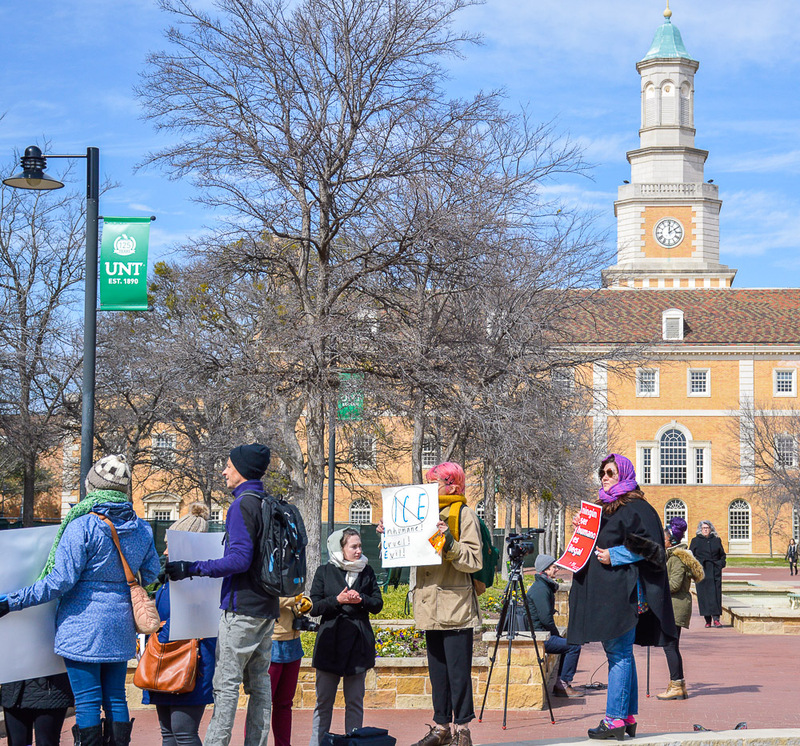 Nuñez-Janes said she is hopeful that UNT will continue to translate support into actual actions and practices. 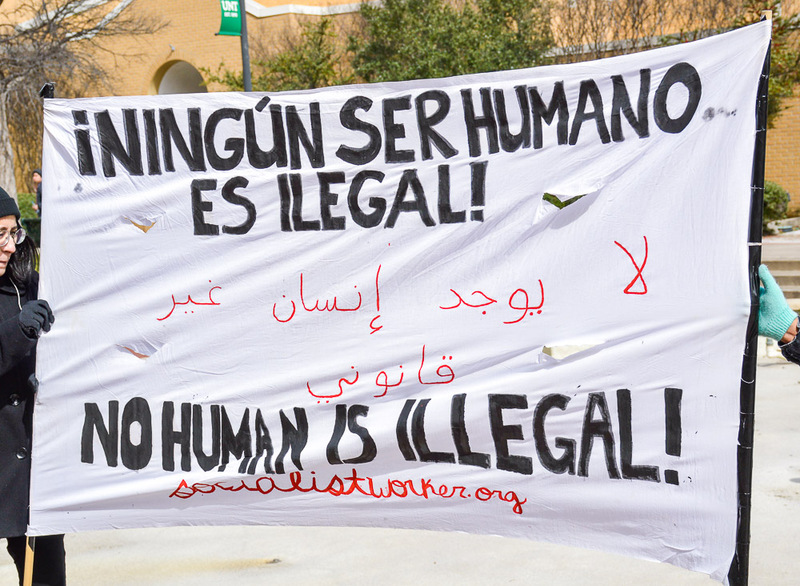 Header image design by Kylie Phillips.